Many of our greatest technological advances have tended to mark disaster for nature. Cars guzzle fossil fuels and contribute to global warming; industrialised farming practices cause habitat loss and pollution; computers and mobile phones require harmful mining procedures to harvest rare metals. But increasingly, ecologists and conservation biologists are asking whether we can use technology to help nature. 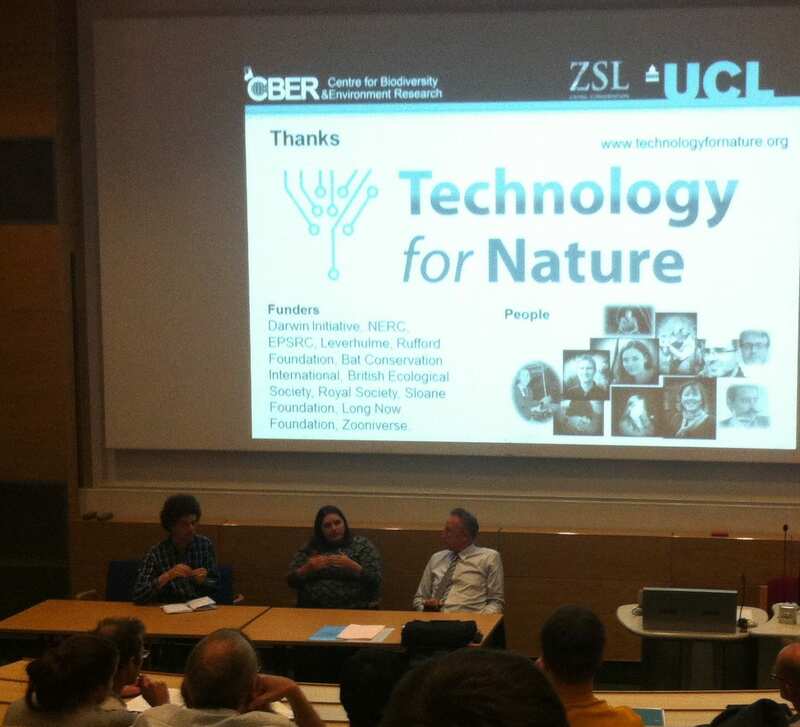 On 10th June 2014, UCL’s Center for Biodiversity and Environment Research (CBER) hosted academics from the National Museum of Natural History, Paris, the Zoological Society of London and the Natural History Museum, London for a workshop on “Technology for Nature”. The workshop formed part of a series of public debates and workshops organised in collaboration with the French Embassy, around the theme of the ‘State of Nature’. 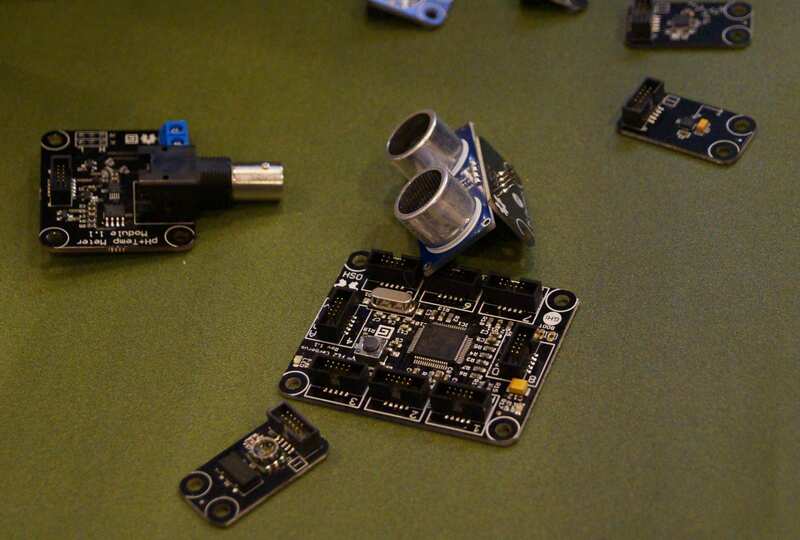 The workshop discussed some of the latest technologies available to monitor biodiversity and how these might be harnessed in combination with citizen science to better understand the natural world around us. Citizen science, which engages members of the public in collecting and processing data about nature, is a powerful tool enabling scientists to collect much larger quantities of data on populations of key species. Citizen science projects not only provide biologists with vastly more data than they could ever hope to collect on their own, but it also serves to engage members of the public with the natural world, and raise awareness of key environmental issues. Following the workshop, UCL also hosted an evening debate in collaboration with colleagues at the French Embassy, London. Professor Romain Julliard from the National Museum of Natural History, Paris, and Professor Kate Jones from UCL’s CBER discussed how new technologies can be used to understand and predict the impact of humans on the natural world, and whether these technologies can be used to inspire and engage the public with the environment around them. Professor Julliard is the Scientific Director of Vigie Nature, a project to monitor trends in various widespread species including butterflies, birds, bees and flowers, using citizen scientists in France. Professor Jones holds the chair of Ecology and Biodiversity at UCL and the Zoological Society of London, and has been involved in a number of projects utilising citizen scientists to monitor populations of bats both in the UK and across Europe. She started the iBats project, which uses volunteers to collect acoustic recordings of bat calls which a computer algorithm can then use to identify the species, and has used citizen science to process data from this project through Bat Detective. 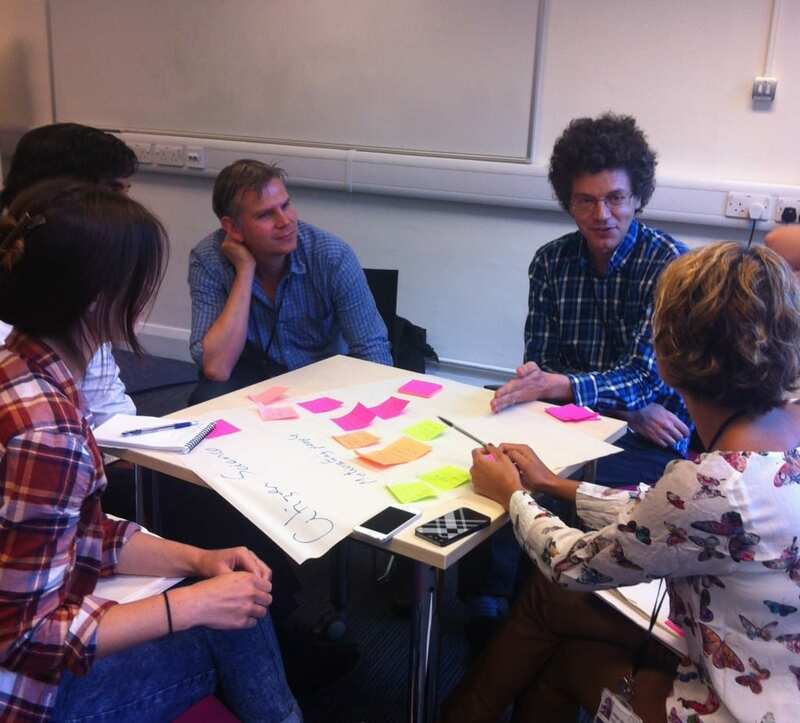 The meeting last week brought together academics from a range of different institutions with a shared interest in monitoring biodiversity to better understand how humans are impacting upon it. We hope this will lead to new projects and collaborations to monitor biodiversity and gain vital data that is needed to assess and ultimately mitigate our impact on the animals and plants we share the planet with. 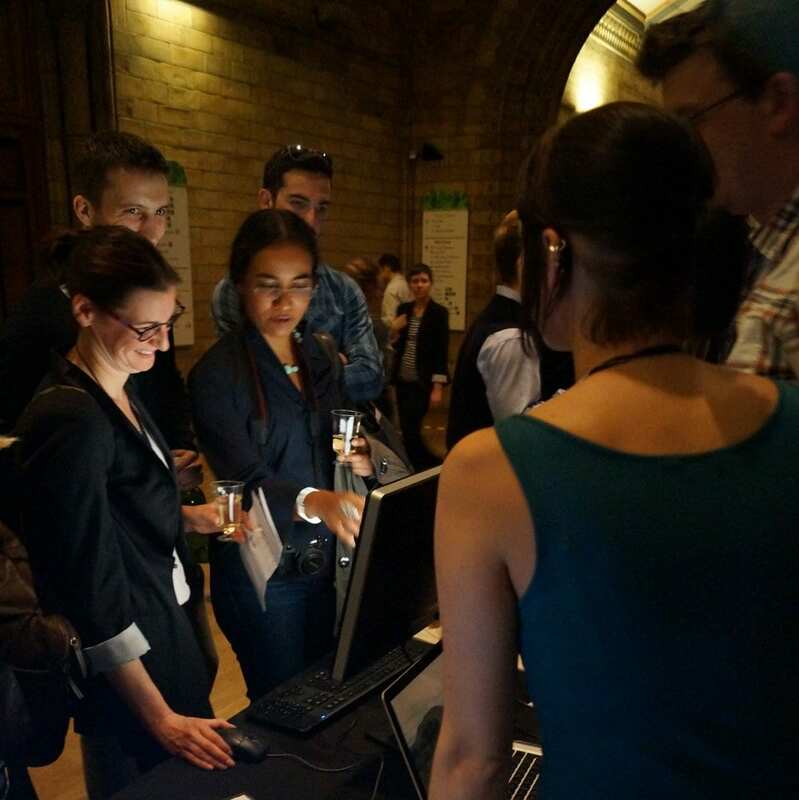 On Friday 27th September, scientists in 300 cities across Europe got together with the public for a variety of activities and events to celebrate European Researcher’s Night 2013. 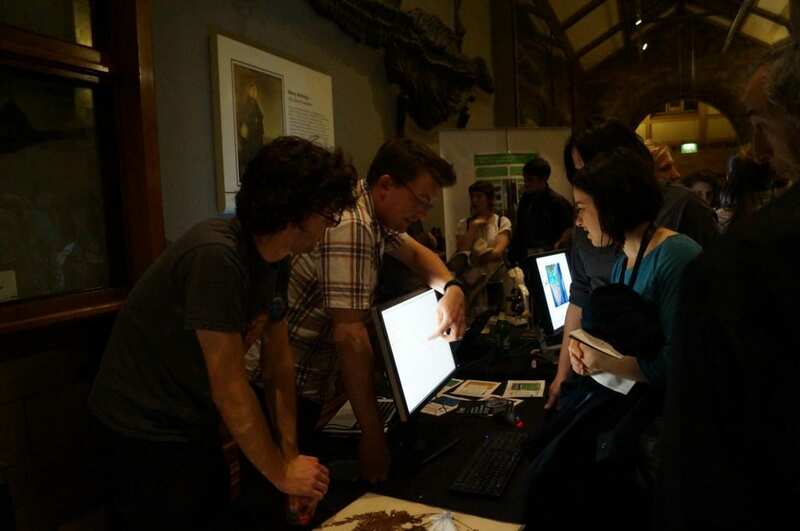 In London, the Natural History Museum kept their doors open late for ‘Science Uncovered’ – an evening of special exhibitions, stalls and activities, engaging the public with researchers from universities and academic organisations across the capital. 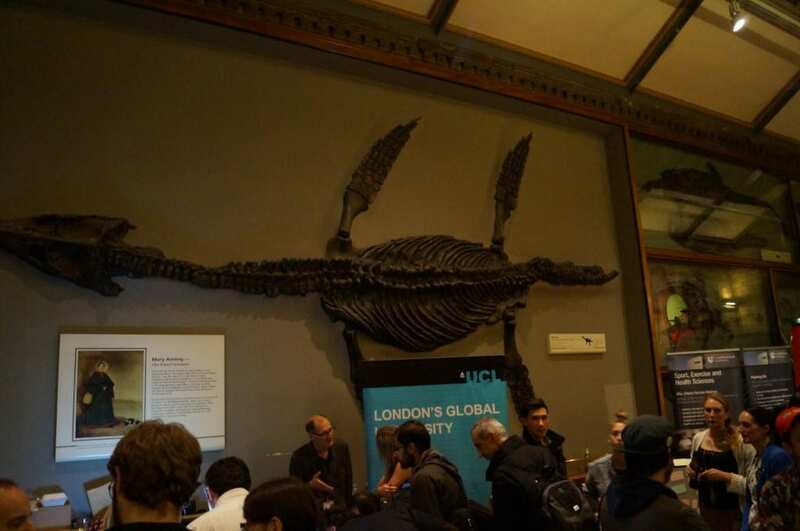 Together with researchers from the Natural History Museum and UCL’s Department of Geography, academics from GEE displayed some of their work and chatted to the public about environmental change. GEE staff and students including Professor Georgina Mace, Dr Sarah Whitmee, Claire Asher and Stuart Nattrass, along with Sara Contu from the PREDICTS Project and Robin Freeman from ZSL, chatted to members of the public about their thoughts on environmental change and biodiversity loss. We are now becoming increasingly aware of the rapid climatic changes that are taking place globally, and with the release last week of the latest IPCC report, the climate has been a major talking point. Environmental change, including climate and land-use, will influence both us and the biodiversity with which we share our planet. Some animals may be able to adapt to climatic changes, but these will act in combination with human activities and land-use to influence which species persist and which perish. 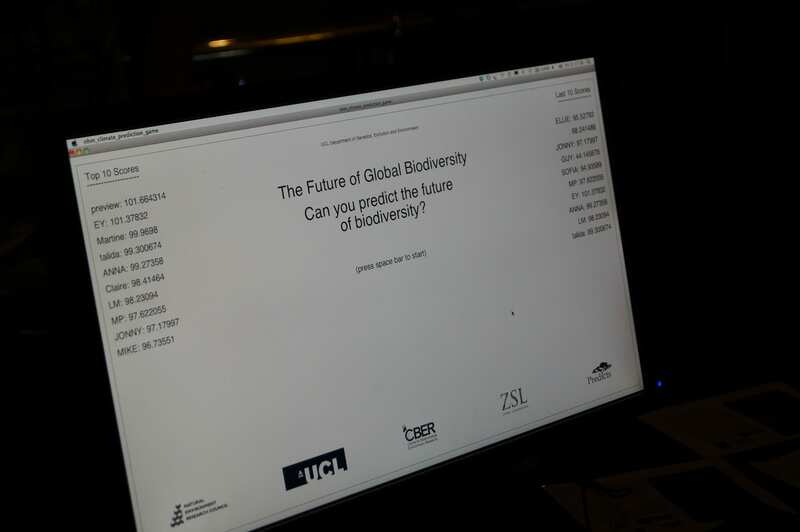 As part of the GEE Environmental Change Stall, in collaboration with the PREDICTS Project, and ZSL, Claire Asher and Robin Freeman developed a game to test the public’s perceptions of present and future environmental change and biodiversity loss. Participants were asked to make a guess about future environmental change under two scenarios – a low-emissions scenario in which land-use decisions are based primarily on the agricultural value of the land, and a high-emissions scenario in which emissions pricing influenced land-use decisions. Predicted levels of global biodiversity were estimated up to 2100 using the PREDICTS model and well recognised scenarios of climatic warming and land-use change. The game proved very popular, with nearly 50 players during the night, competing to achieve the best score. The answer was not as simple as many of our players might have expected. Because climate does not act alone to influence species extinctions, land-use and other aspects of each scenario also played a major role. In the high-emissions scenario, emissions pricing (an attempt to minimise further warming) encouraged the preservation of primary forest, mitigating some of the negative effects of climate change on biodiversity. Meanwhile, in the low-emissions scenario, continued loss of primary forest in favour of agricultural land, particularly for the production of biofuels, meant that biodiversity suffered more than we might have thought from climate warming alone. Our decisions about emissions, land-use and conservation policies will have a far-reaching effect on global biodiversity. 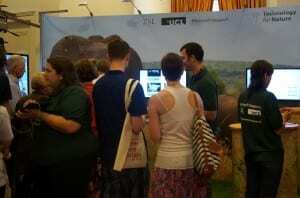 The Future of Biodiversity game will be available to play online soon! 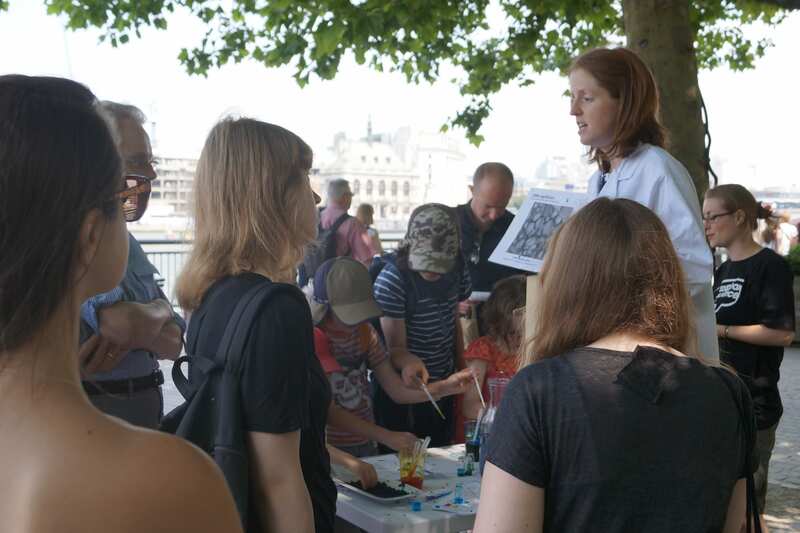 July has been an exciting month for science shows – The Royal Society Summer Exhibition ran from the 2nd to the 7th at Carlton House in London, and on Friday 5th July, Soapbox Science took to the south bank for it’s third annual event celebrating women in science. 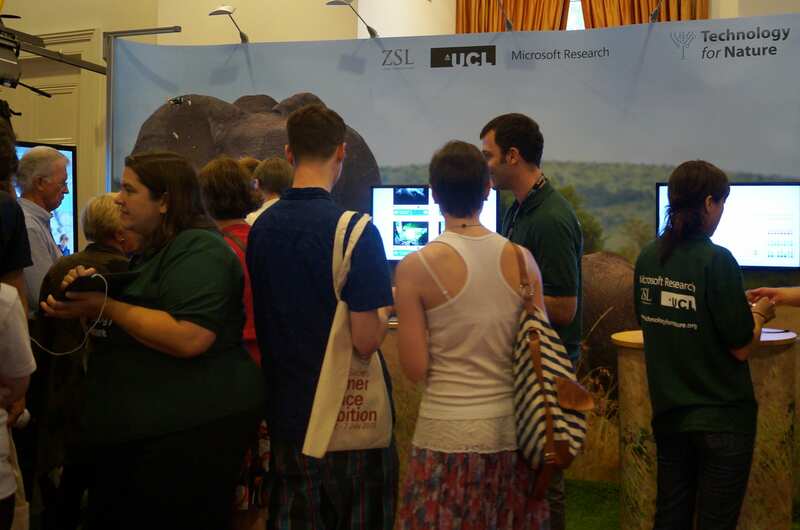 At this year’s Royal Society Summer Exhibition, Technology for Nature, a joint project between UCL, Imperial College London, Microsoft Research and the Zoological Society of London, held a successful stall demonstrating a number of applications of technology to ecology and conservation. A particular highlight was the demo for Mataki, a new tracking technology which can detect behavioural information as well as locational information from a small tracking device attached to an animals back. This technology is being used to monitor the movement and foraging behaviour of sea birds. 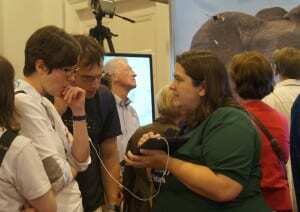 Professor Kate Jones and Dr Robin Freeman were amongst demonstrators during the week, talking to the public. 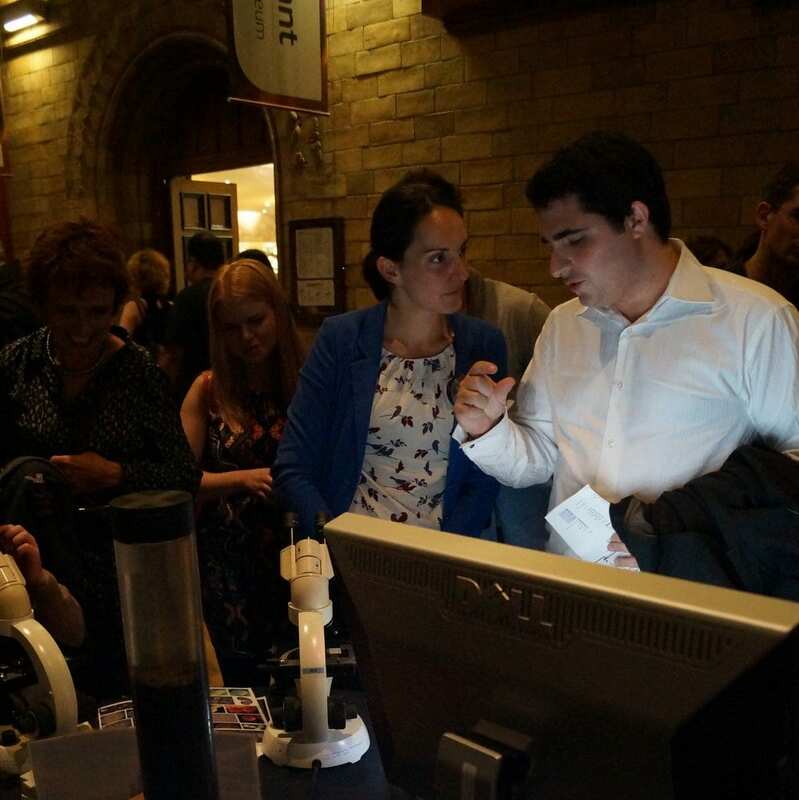 Now in its 10th year, the Royal Society Summer Science Exhibition is an annual event showcasing cutting-edge research from around the UK. 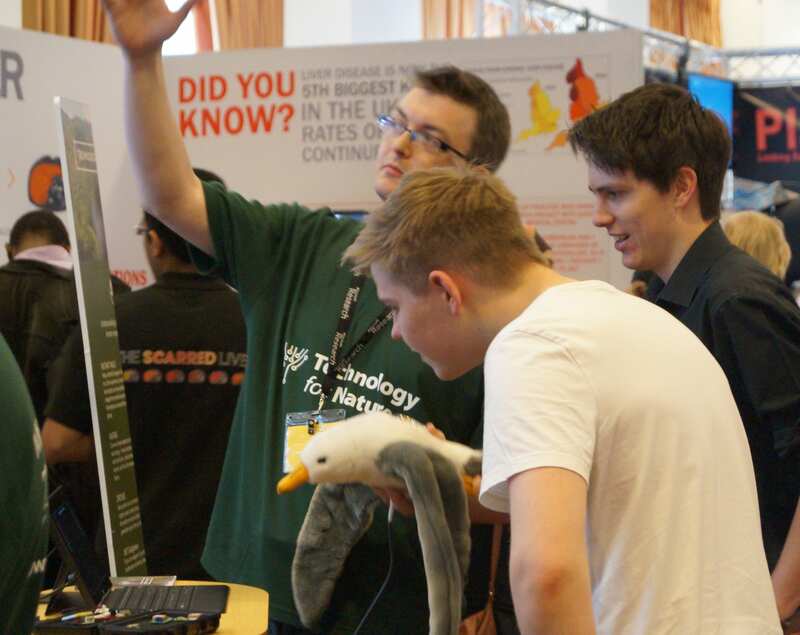 Each year, teams of scientists congregate in London hoping to demonstrate and communicate their science to the public, to students and fellow scientists, to policy-makers and the media. 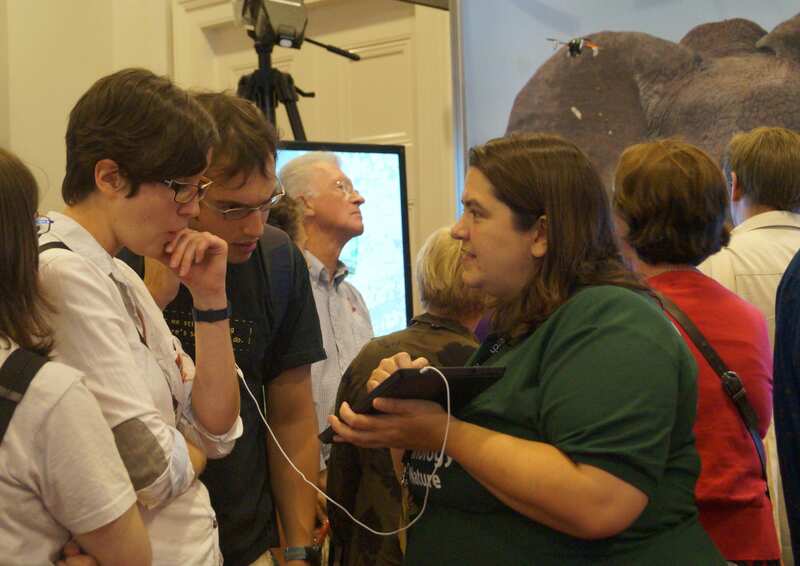 With interactive demonstrations, along with evening events and talks, the Royal Society Summer Science exhibition is a highlight of the year. This year, 24 Universities were selected to bring their scientific innovations to the exhibition, covering topics as diverse as dark matter, glacial melting, antibiotics and ecological monitoring. UCL’s Technology for Nature, in collaboration with Imperial College, ZSL and Microsoft Research, demonstrated three of their innovative projects aiming to apply technological advances to ecological problems. 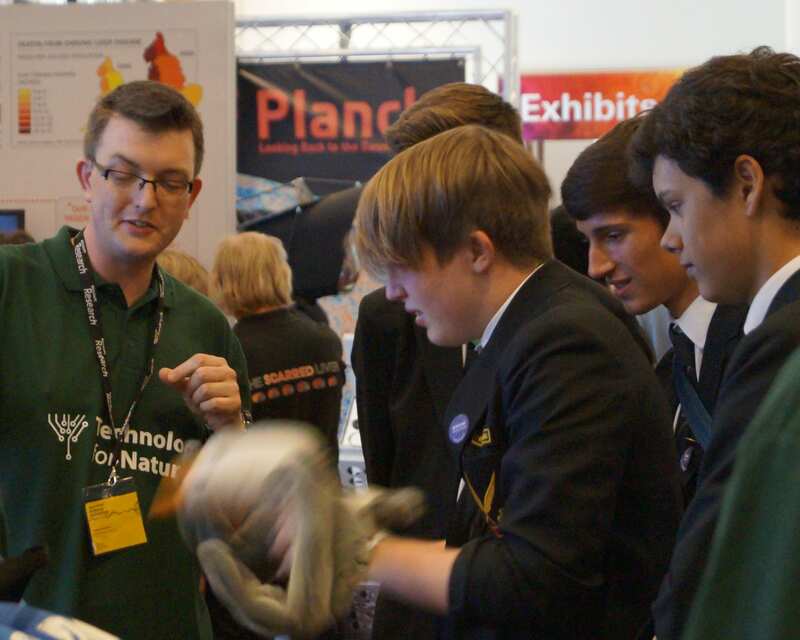 One of the highlights of the Technology for Nature stand was the Mataki demonstration, that had members of the public step into the shoes (wings?) of seabirds to test out the revolutionary technology that can not only track animals, but also monitor behaviour. The small, light weight, economical tracking device produces data that enables different types of flight and foraging behaviour to be identified. Professor Kate Jones, from UCL’s Center for Biodiversity and Environment Research, has been working on a number of projects aimed at improving the ease of detecting and identifying bats, and utilising crowd-sourcing as a means to tackle large data sets generated by such technology. Find out more about the Technology for Nature project. 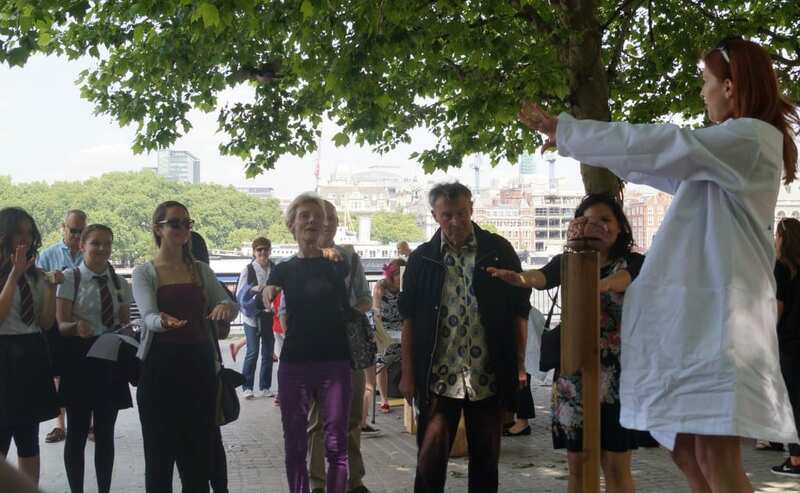 As the long awaited summer finally arrived in London, so did 12 of the UK’s top female scientists, ready to communicate their science to the public in one of London’s most unusual science events – Soapbox science. 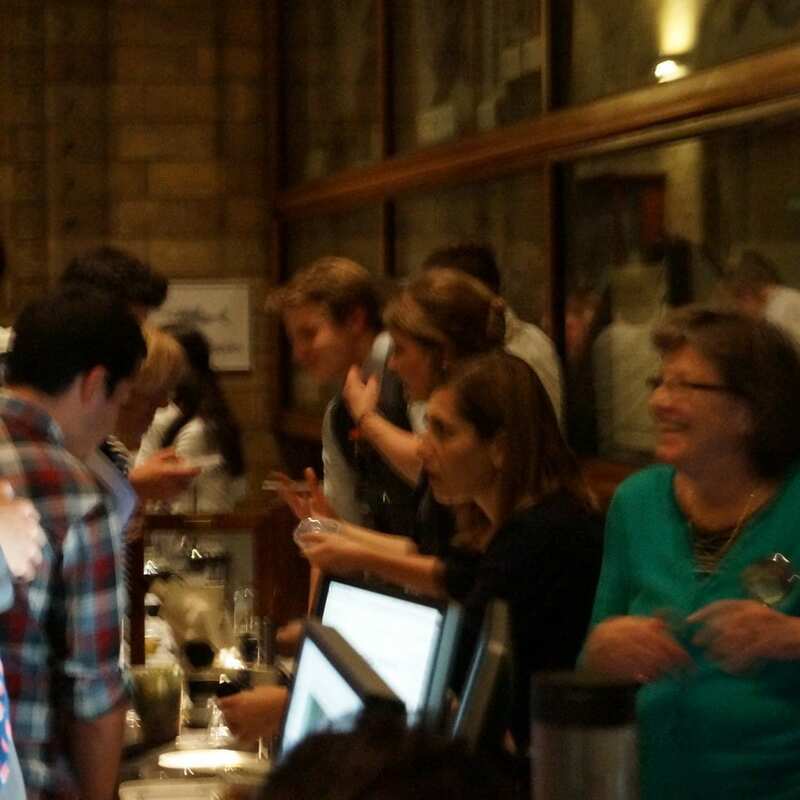 Here, scientists are challenged to enthuse, entertain and educate a diverse audience about their research, without the aid of powerpoint slides and scientific jargon. 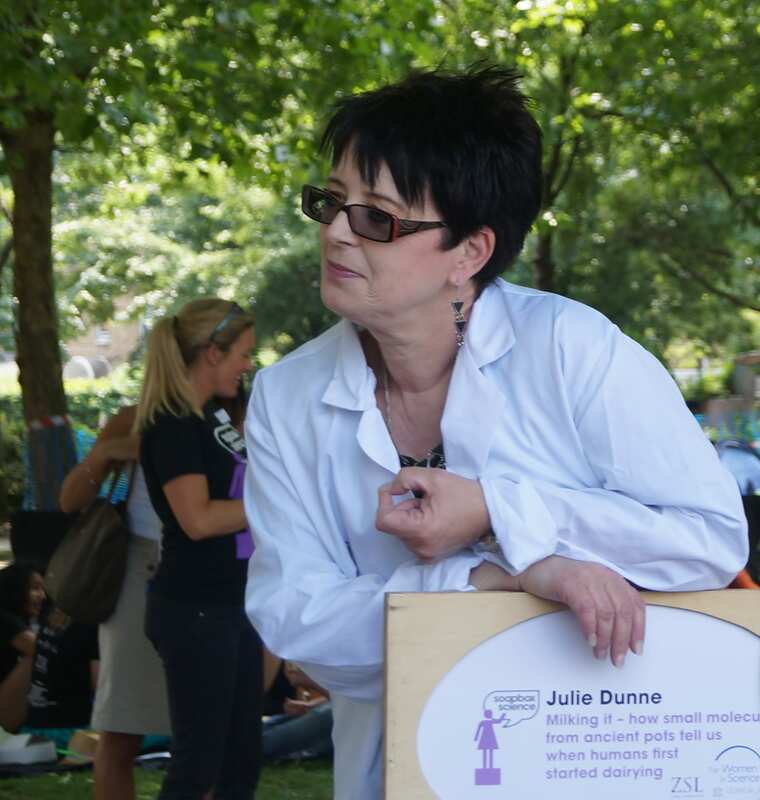 Armed with nothing more than a few props, a Soapbox and a lot of enthusiasm, this years inspiring female scientists were challenged to explain their research to the public. 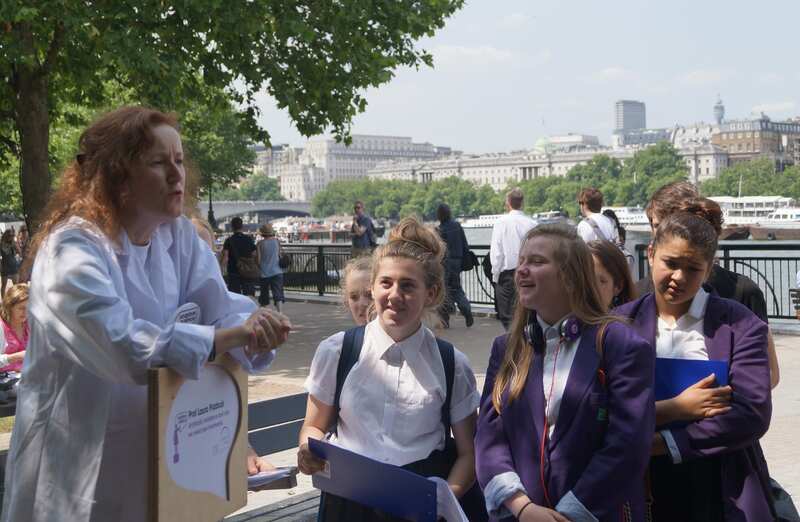 Soapbox science is a collaboration between the Zoological society of London and L’Oréal-UNESCO For Women in Science, which aims to highlight the struggles faced by women pursuing a career in science and challenge the public’s view of women in science. 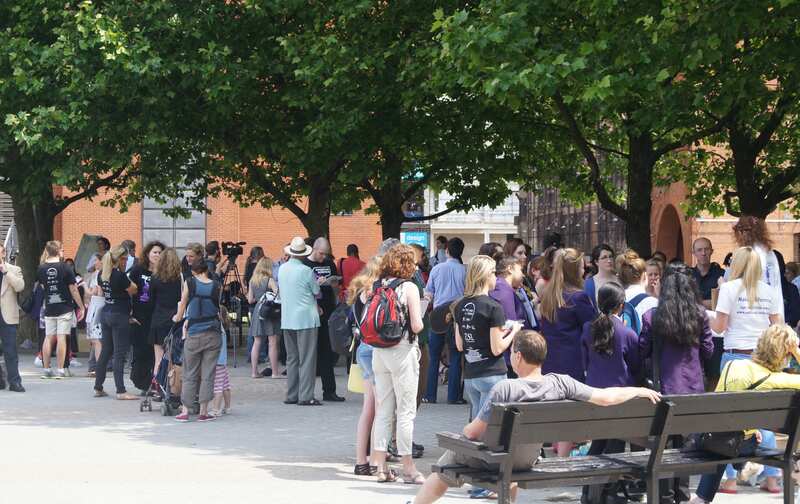 Soapbox science was created by Dr Seirian Sumner and Dr Nathalie Pettorelli, hoping to inspire a new generation of female scientists. Professor Laura Piddock talks about antibiotic resistance, and Dr Emily Cross demonstrates how the human brain perceives complex movement. 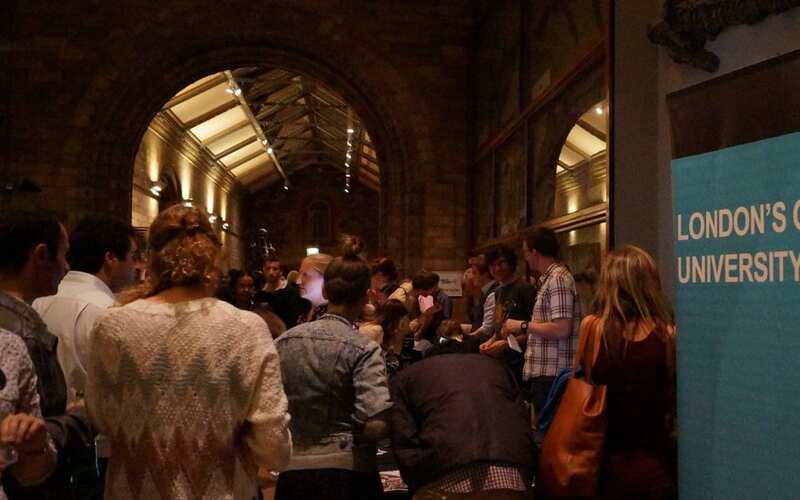 Co-organiser, Dr Nathalie Pettorelli (Zoological Society of London) says: “Now in its fourth year, Soapbox Science is a platform to showcase the most eminent female scientists in the UK, and to highlight some very serious issues that we have witnessed as mid-career scientists: the disappearance of our female peers”. Dr Seirian Sumner (Bristol University) adds “Through events like Soapbox Science and our Campaign for Change, we want to actively bring women of all career stages together and promote that women can have a career in science”. Soapbox Science in Gabriels Wharf. Dr Zoe Schnepp (University of Birmingham) explains superconducting seaweed and green nanotechnology. Can Large MPAs Protect Tuna and Sharks?